We're happy to offer our DC readers the chance to win a pair of passes to Cold Pursuit, the new action-comedy starring Liam Neeson! 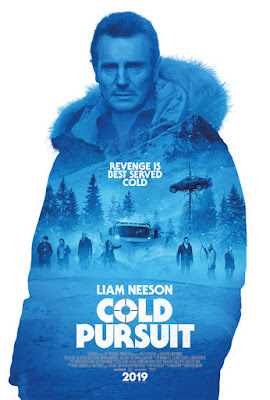 Cold Pursuit opens on February 8th. These passes are good at any DC-area theatre through the film's run of engagement. To enter for a chance to win, simply send an email to punchdrunktrav@gmail.com with your full name, mailing address, and "COLD PURSUIT Contest" in the subject line. Winners will be selected on Thursday, February 7th and notified by email. Good luck!